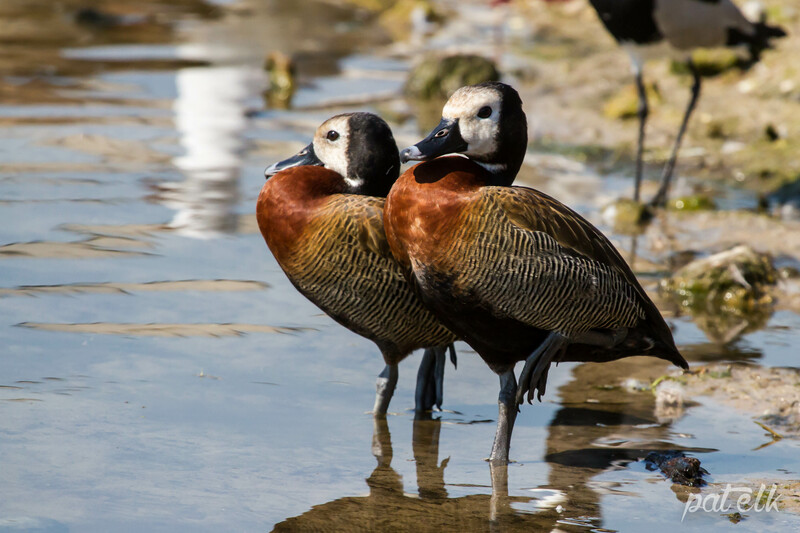 The White-faced Whistling Duck (Afrikaans name, Nonnetjie-eend) is a beautiful duck, with its white face and beautifully barred feathers they are hard to miss. 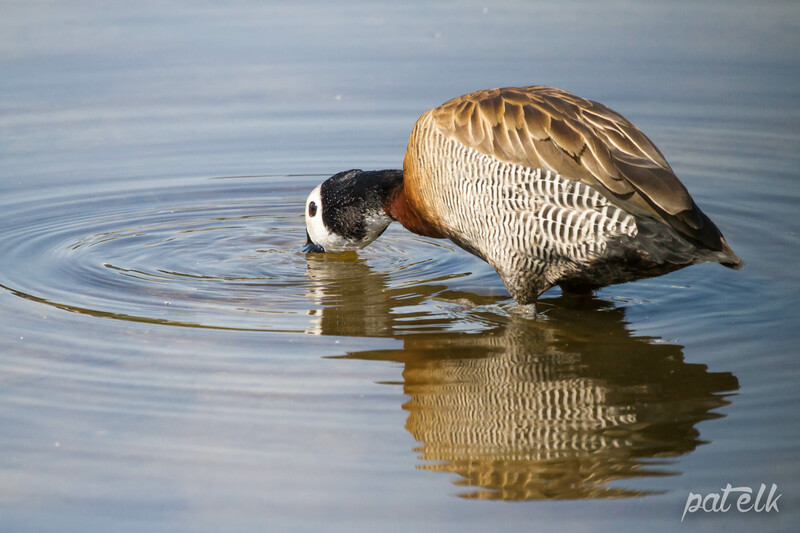 They do actually whistle and not quack. 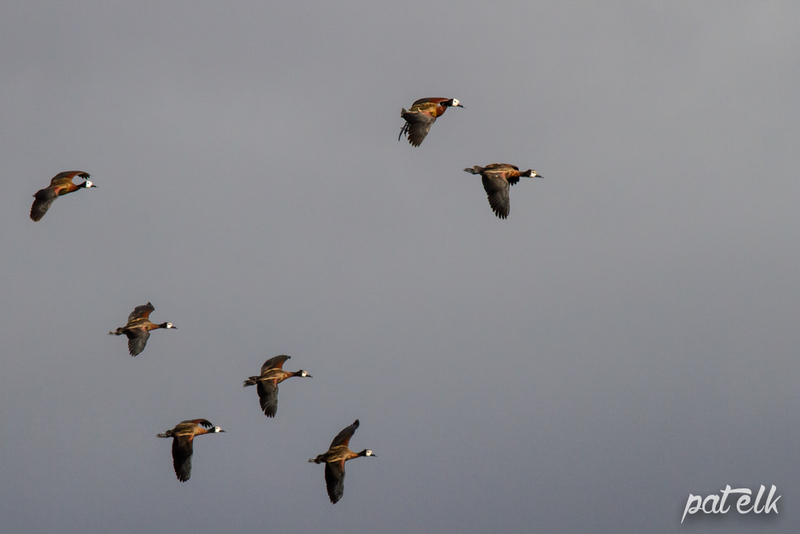 Often seen in large flocks. We saw these make a surprise visit to Intaka Island. These we saw flying over us at the Paarl Sewage Works.